A button-down shirt is an essential in any closet, but there's one navy pinstriped style taking the fashion world by storm. 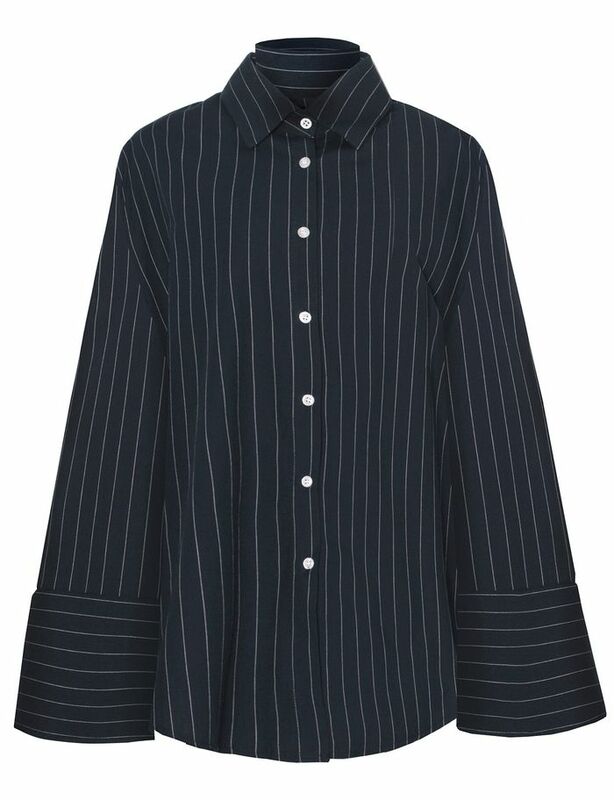 Pixie Market's oversize wide-sleeve shirt is the retailer's top seller, according to Refinery29, and is regularly sold out. The billowy top isn't just fashion-forward with its extra long sleeves and unique silhouette—it features an extra long choker necktie and structured cuffs for a high-fashion look without the designer price tag. The key to scoring the $112 shirt is to preorder it right now so that it will arrive by the end of the month, just in time for the cooler weather. The crisp navy number is one of those pieces that can go with just about anything, be it jeans or a skirt, and who can argue with versatility? Feast your eyes on the sure-to-sell-out shirt below and preorder it sooner rather than later. What are your thoughts on the best-selling button-down shirt? Tell us in the comments.